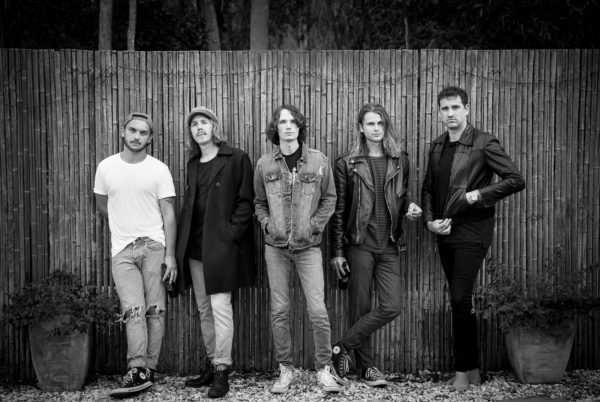 Australia’s High Tropics are a band that has been on our radar since 2017, giving us plenty of reasons to keep believing that the future of rock was in good hands. Today we have the extreme privledge of premiering their brand new single “Feel The Same.” The rock anthem keeps that Strokes-like rock pedigree going, with a confident polish that they wear well. “Feel The Same” was produced by Elliot Heinrich (Future Jr) and mastered by Brian Lucey (Cage the Elephant, Liam Gallagher), who help them expand their sound to even greater heights, bringing out the best vocal performance from Josh Stewart to-date. The song is readymade for long summer days spent on the road with the windows down and good company by your side. The band have already opened up for fellow rising stars Middle Kids and performed at major Queensland music festivals including the Big Pineapple Music Festival and the Caloundra Music Festival. High Tropics will be back on the road in the coming months in support of their new release and should be ones to watch the rest of 2019. Enjoy your exclusive listen to “Feel The Same” below.